This page is dedicated to information of some of our local organisations. 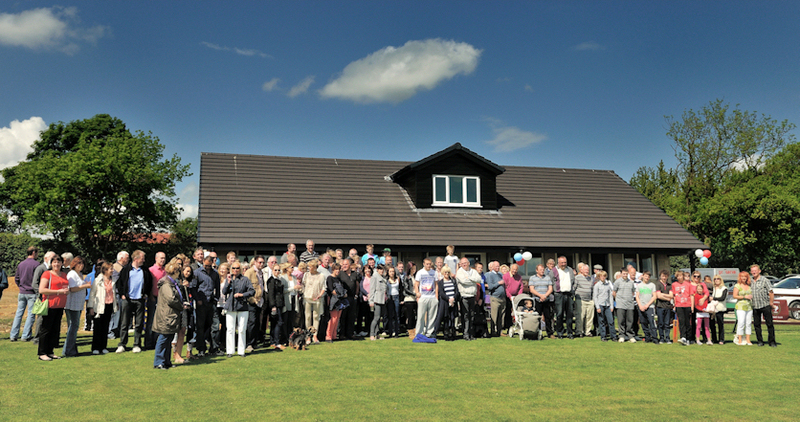 Bardsey Bowling Club seeks Shadwell bowls players Bardsey Bowling Club extends a warm welcome to Shadwell villagers in its desire to attract several more members from Shadwell. Our club is situated behind Bardsey Village Hall and is seeking individuals or groups to join us. Experienced and inexperienced members are equally welcome, players from age 7. We are a friendly village club that provides social events and social bowling, if you would like to find out more please pop into our club in Bardsey and speak to one of our members. 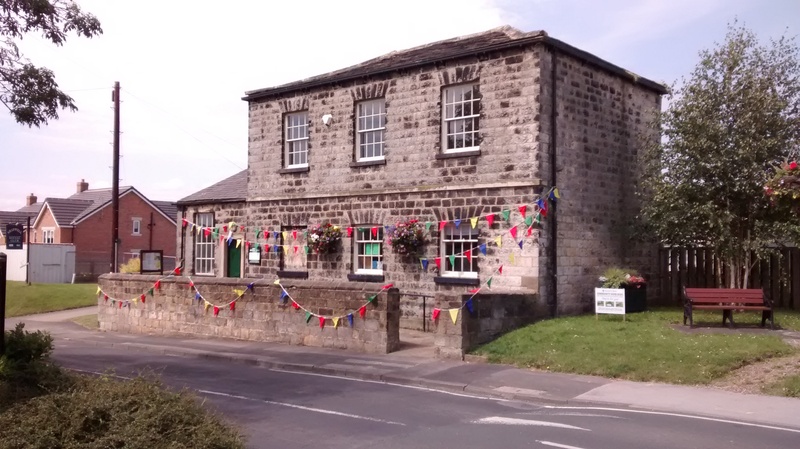 Our Methodist Chapel decked out in bunting for the 200th celebrations. F.O.S.S. is run by the parents and teachers to raise funds for the benefit of the pupils of the School . These funds are spent on both educational and fun items that the school budget could not otherwise afford. Our activities include Fairs, discos, parent fun nights, tombola’s, pocket money club, bags for cash, etc etc and even sell ice creams in the Summer! Please feel free to contact us if you have anything that could help this cause and therefore help us to give the children the best possible start in life. Shadwell Independent Library is located in the old Methodist Chapel on Main Street. The library was transferred to the community in January 2013 on a 99 year lease at a peppercorn rent. It is intended the library will be used as a community and arts centre, including a cafe. Volunteers are needed to be librarians, for building and admin work. Donations welcome. Rainbows (part of the girl guides) is for girls aged 5-7. We meet at Shadwell scout hut once a week. Rainbows is all about having fun! We play games, have parties and make things while developing life skills. Shadwell YCA was formed in 1983 after the split from the Women’s Institute. The NFWI decided in 1982 to divide the Yorkshire Federation of Women’s Institute into three separate groups instead of being one large group. In true Yorkshire spirit the women of Yorkshire didn’t want this so most of the WI groups in Yorkshire joined together to form the YCA. Shadwell was one of the first groups to join. The Shadwell YCA meet every second Friday in the month in the Village Hall at 7.30pm The meeting starts with a speaker followed by coffee after which there is a brief summary of the business of the group, such as minutes of the previous meeting and announcements of forthcoming events. During the year the Shadwell YCA members help with the Mayfest, Flower Show and hold the annual Macmillan coffee morning. New members are always welcome. Shadwell in Bloom was created in 2003 by 3 Parish Councillors – so without the Parish Council, there would be no In Bloom. The village had become very untidy and unloved. There were weeds everywhere, the verges were overgrown and unkempt, hedges needed cutting, litter was a permanent problem. Areas looked derelict. It is hard to remember now just what the Village did look like back then. The difference that the In Bloom Group has made to the Village is outstanding – and on-going. With a group of loyal volunteers, the Group has now won the Yorkshire in Bloom Large Village category twice (2010 and 2012), and represented Yorkshire in the Britain in Bloom competition in 2011, achieving a remarkable 2nd place. Not only does Shadwell in Bloom cut grass, trim shrubs, cut hedges, litter picks, it also plants hedges and trees, and has created some 23 flower beds over the years which are planted in autumn and then again in summer. Together with a variety of planters spread throughout the Village, and up to 95 summer hanging baskets, Shadwell is a mass of colour and interest throughout the year. Chairman Norman Taylor on 273 7393, or Secretary Debbie Potter on 265 7575. 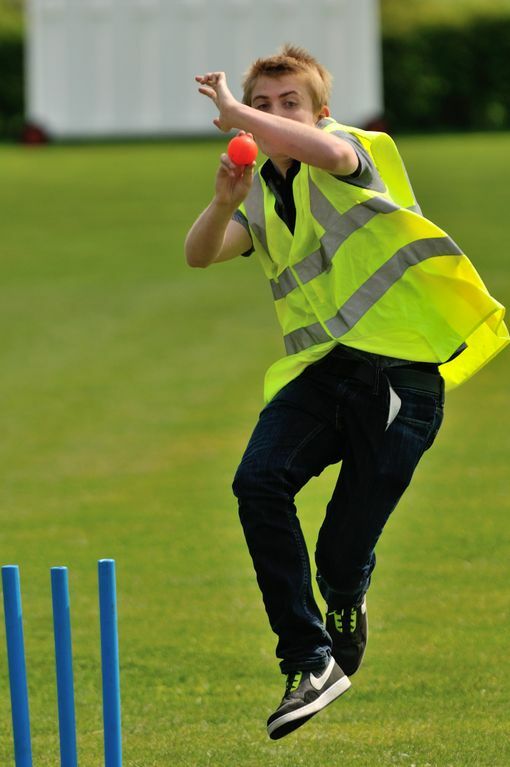 Shadwell Cricket Club provide a sports and social facilty for Shadwell (and the surrounding areas) as well as promoting senior and junior cricket in a safe and friendly environment. As recognition of the latter, the Club were awarded prestigious ‘ECB Clubmark’ status in 2010. Shadwell Tennis Club welcomes players of all ages & abilities. 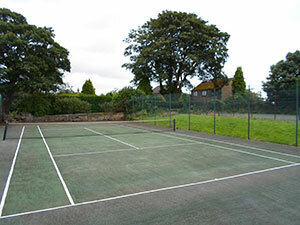 We are a small & friendly club situated in beautiful, peaceful surroundings. 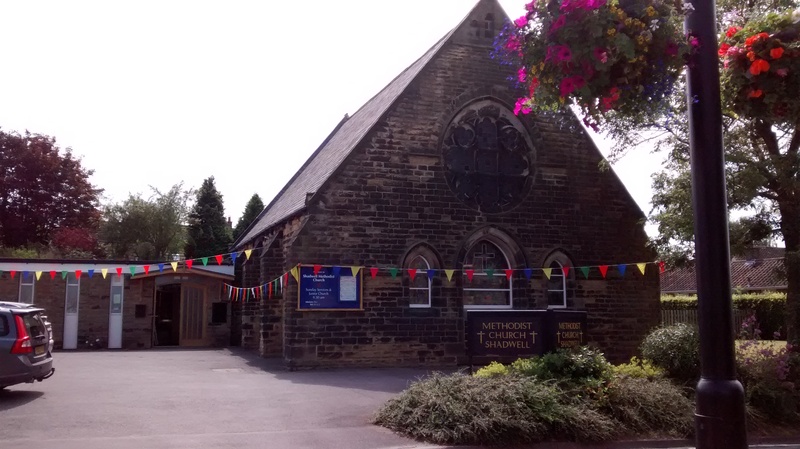 The Village Hall provides a venue for many activities for the people of Shadwell and its surrounding area. 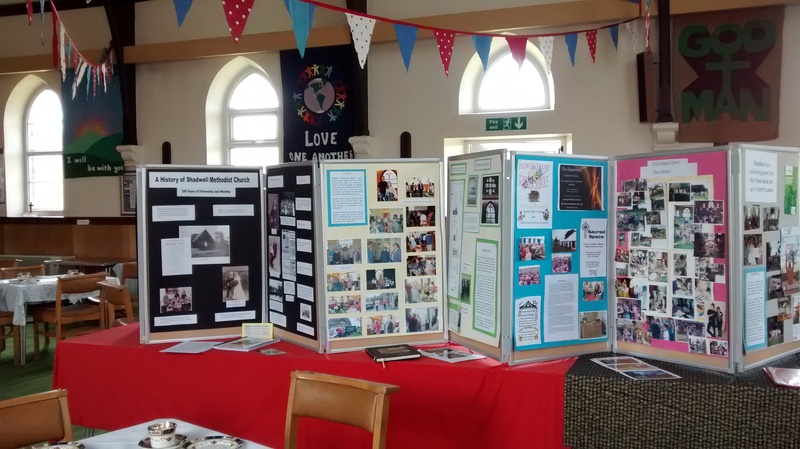 It is run on a day-to-day basis by an autonomous sub-committee of St. Paul’s Parish Church Council which owns the building, and encourages its use as a Village Hall, rather than a Church Hall. Current regular users include Ballet, Keep-fit, Yoga, Tai Chi and other dance classes, the Bridge Club, Yorkshire Countrywomen’s Association, Shadwell-in-Bloom, frequent parties, occasional dances, dinners and quiz nights, St. Paul’s Parochial Council meetings, speciality sales, and even occasional Parish Council and Leeds City Council meetings. The hall has a resident caretaker who takes care of bookings for the hall as well as keeping it clean and tidy.